Former Maryland Gov. 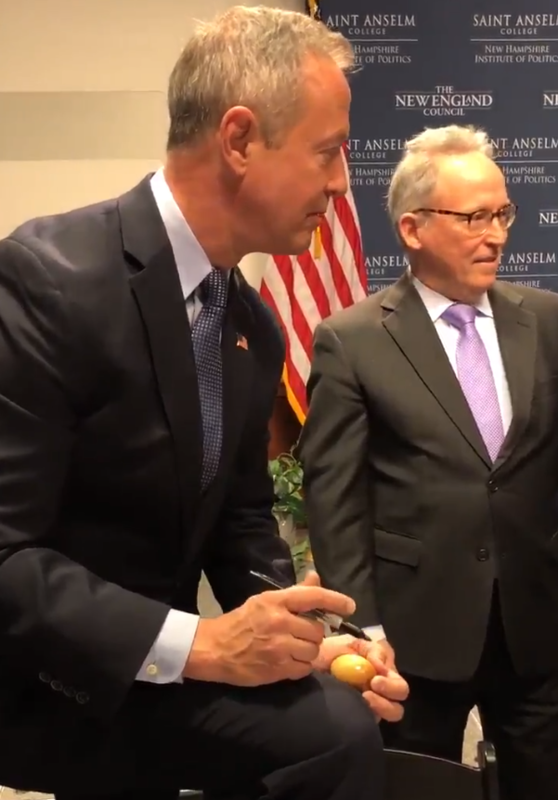 Martin O'Malley, a Democrat who ran for President in 2016, autographs wooden eggs at the "Politics & Eggs" event at St. Anselm College. Listen to a broadcast version of this story. O’Malley, the former governor of Maryland and a Democrat, kicked off the day with a speech at Saint Anselm College’s Politics and Eggs breakfast, a frequent stop for many presidential candidates. He signed wooden eggs, took photos with students and reflected on his short campaign for president in 2016. O’Malley dropped out of the race shortly after the Iowa Caucus. “Any of us who have had any experience in politics, the last election was a deeply humbling experience. Whether we’re Democrats or Independents or Republicans, I think it’s caused all of us to think deeply and reflect deeply about who we are as a people,” O’Malley said. Since the election, O’Malley said he has been teaching and helping out with state legislative campaigns across the country, including two in New Hampshire: newly elected State Sen. Kevin Cavanaugh and State Rep. Kari Lerner. New Hampshire State Senator Lou D’Allessandro was one of a handful of O’Malley fans in the audience. He’s known O’Malley since he was the mayor of Baltimore, and O’Malley’s band performed at the wedding of a good friend of D’Allessandro’s. “Haven’t heard Martin sing lately,” he said. “But you know, I’m kinda looking forward to that.” O’Malley often ends up with a guitar in hand on the stump. But even a well-connected Democrat like D'Alessandro will be the first to say that the vibe at the O’Malley breakfast was nowhere near the buzz surrounding Kasich’s speech later Tuesday evening. Kasich came second to Donald Trump in the 2016 New Hampshire primary. 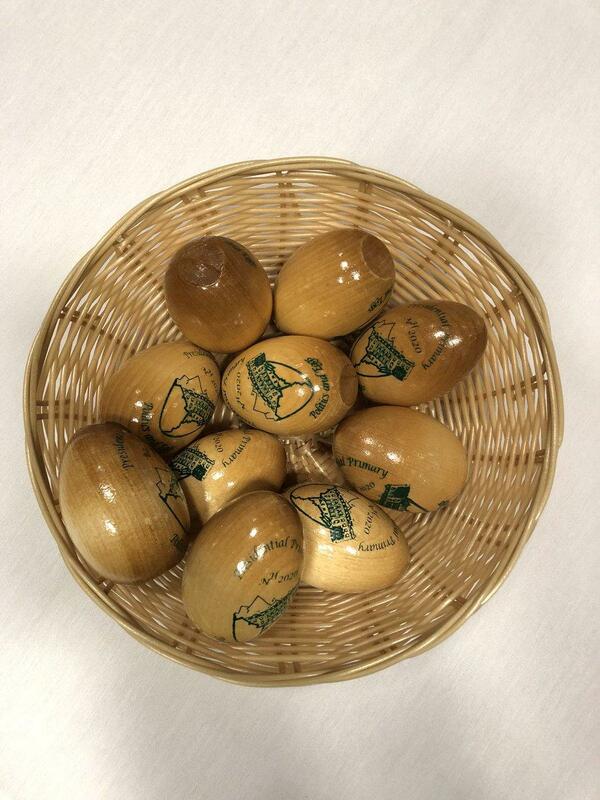 "Politics & Eggs" basket at the speakers' series, co-hosted by Saint Anselm College and the New England Council. “Kasich is a player, big time player. Nationally, he’s a big-time player, and he’s got a nice stage from which to speak,” D’Allessandro said. Kasich’s jam-packed schedule in New Hampshire was fit for a presidential candidate: He visited the Red Arrow Diner with CNN reporter Dana Bash, he made stops at WMUR and the Union Leader and Concord Monitor editorial boards, and at some point he said he squeezed in a trip to Friendly’s for Jim Dandy ice cream sundae. He also met with Gov, Chris Sununu and had dinner with other well-known Republicans and Kasich 2016 supporters like former U.S. Sen. John E. Sununu and former state Attorney General Tom Rath. Kasich ended the day with a speech at New England College, which was broadcast live on C-SPAN. And yet, the Republican governor said he still doesn’t know if he’ll challenge President Trump in the primary. Kasich spent a lot of his speech criticizing Trump for everything from the way he deals with and speaks about the press to his position on immigration reform. “If we believe in justice and if we believe in compassion, then there would be no reason why we would take somebody who was brought to this country at the age of 6 who is now 26 with a spouse and children and announce to them one day that we we are shipping you out,” he said, referring to Trump’s position on the Deferred Action for Childhood Arrivals program, or DACA. On gun control, he said there’s a role for the federal government, but “fundamentally states have to all find their way through this issue.” And he criticized figures on the right, most recently Fox host Laura Ingraham, for villainizing the survivors of the Parkland school shooting. “Have you ever seen more articulate, grown-up mature young people? And shame on the adults that are attacking them. They are incredible people and they give us hope,” Kasich said. Some of the more moderate Republicans in the audience, many of them conflicted over the Trump presidency, said Kasich’s speech gave them hope for the future of the GOP. Kasich also made sure, as politicians often do when they’re in town, to make it known to the local audience how much he loves New Hampshire. “Here's the thing I love about the state, this is why I like to come back: It's like the x-ray machine for the country. They poke you, they smell you, they push you, they question you,” Kasich said. Kasich hadn’t even left New England College before he told reporters he already had plans to be back in New Hampshire in November. As cavalier as President Trump is being about his relationship with Congress, he's not taking any chances with voters. PRESIDENT DONALD TRUMP: Wow, what a crowd. 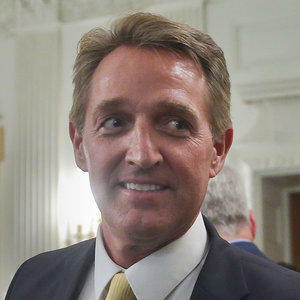 Arizona Republican Senator Jeff Flake is scheduled to speak Friday morning at Saint Anselm College in Manchester. Flake will be the featured speaker at the “Politics and Eggs” forum hosted by the college. Past speakers have included President Donald Trump and Hillary Clinton. In an interview with NBC, Flake said he thinks Trump should be challenged during the 2020 Republican primary. But Flake has yet to announce a presidential run for himself. 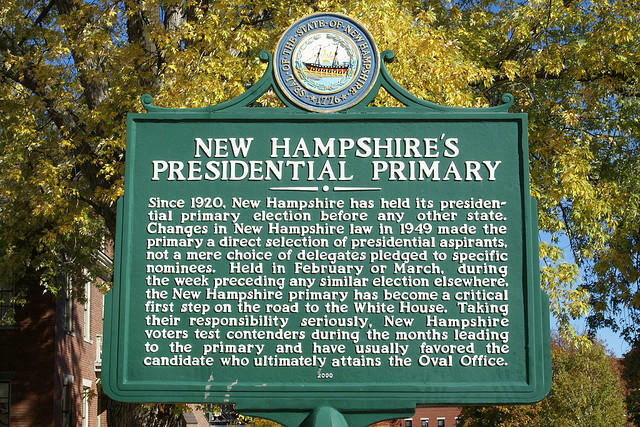 Is the 2020 New Hampshire primary already underway? It may seem like it, with three former presidential candidates in the Granite State this week, including a visit Thursday from Republican Ohio Governor John Kasich. On the Democratic side, former Maryland governor Martin O’Malley was here Sunday, and this weekend, former vice president Joe Biden will be the keynote speaker at a state Democratic Party fundraiser. 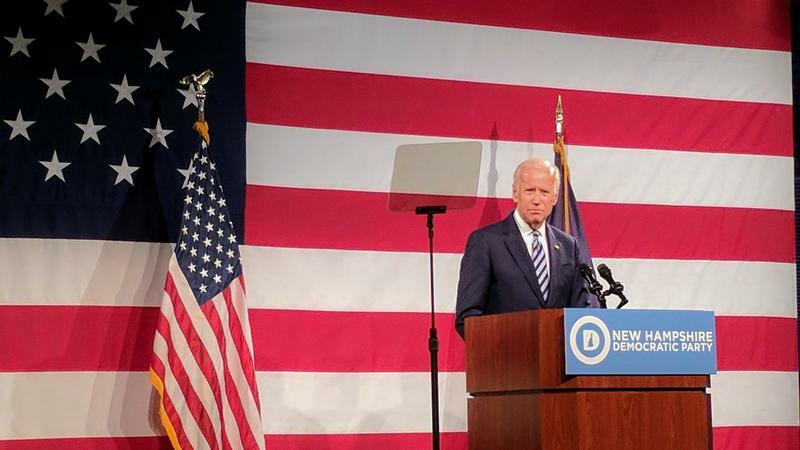 Former Vice President Joe Biden joined New Hampshire Democrats Sunday night at the party’s annual 100 Club Dinner in Manchester. The event offered the party a chance to focus its energy in the wake of a bruising political year.